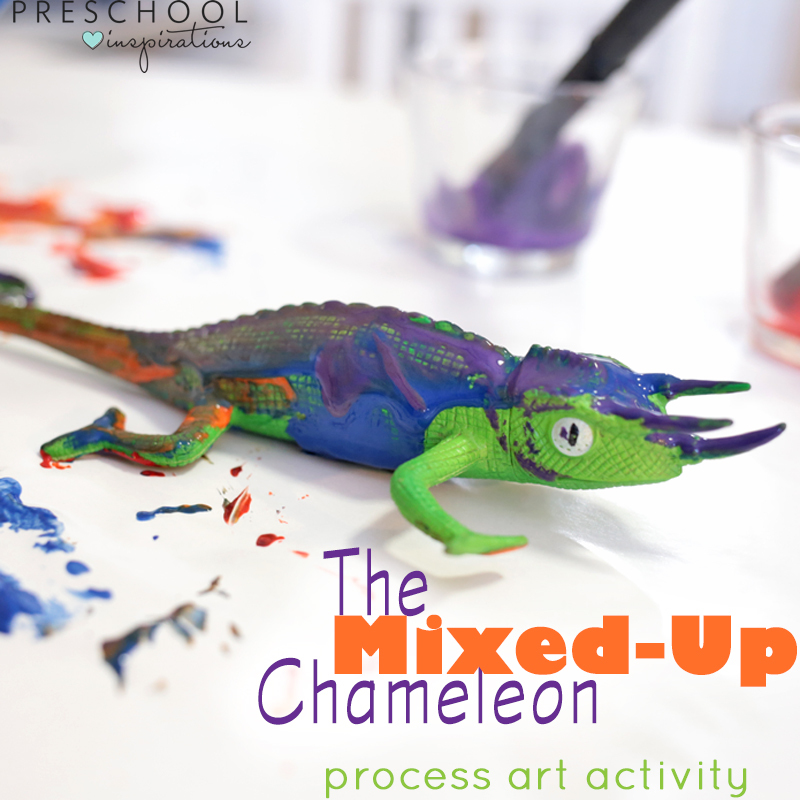 Yesterday we came up with a fun process art activity to go with the book The Mixed-Up Chameleon by Eric Carle. Before I get into the project, though, let me take a brief minute to discuss process art. Process art activities are my favorite kind of preschool projects! In process art, the focus is on the process of the artistic experience, not on the outcome of the project. It allows kids to explore art in a no-pressure type of way. In my experience, kids learn so much more that way! Now back to the activity at hand. 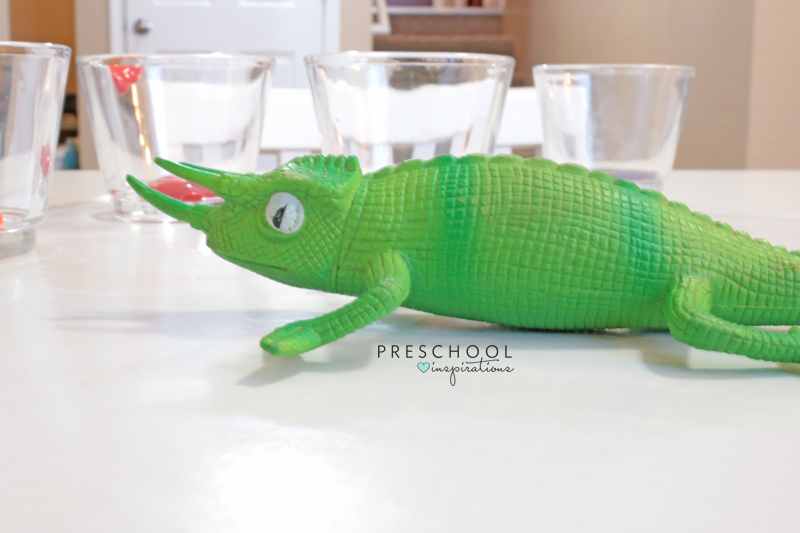 We came across this chameleon toy in our toy box, and we decided to use it as a “canvas” for some artistic exploration. Note: There was some discussion on whether or not this was truly a chameleon. After some research it was confirmed that this is indeed a male Jackson’s Chameleon. 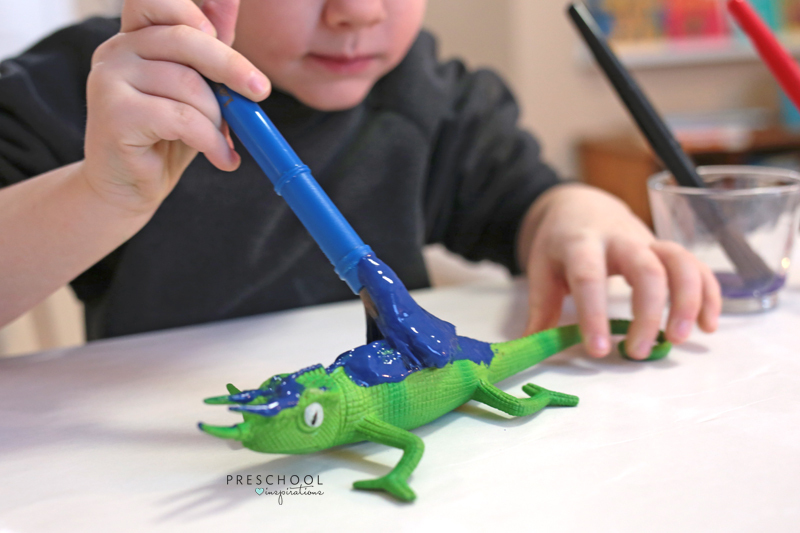 Previously, I’ve done a no-mess chameleon art activity using Ziplock baggies. My kids really enjoyed the connection to the book while they learned about color mixing in that activity, but, to be honest, they tend to prefer messy fun over no-mess fun. That’s where this activity came in! 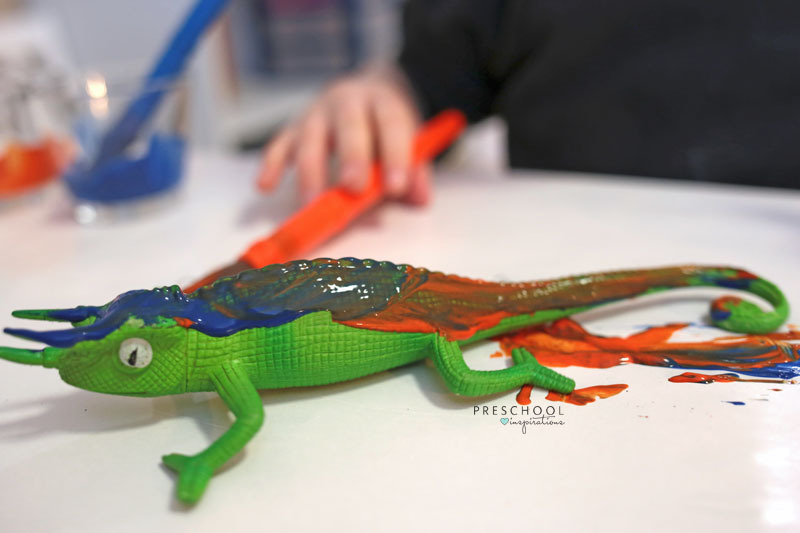 I offered my kids several colors of paint and the toy chameleon as a canvas. They got right to work covering the chameleon in paint and learning about color mixing in the process! My three year old particularly loves making brown, so he slopped on some blue and orange paint. Then he finished it off with some purple highlights! When the painting and color mixing session was over, we admired it for a minute and talked about the results of his color-mixing experiments. Then he helped me take the chameleon to the sink to give him a bath. Now we have a clean chameleon ready for our next play session! 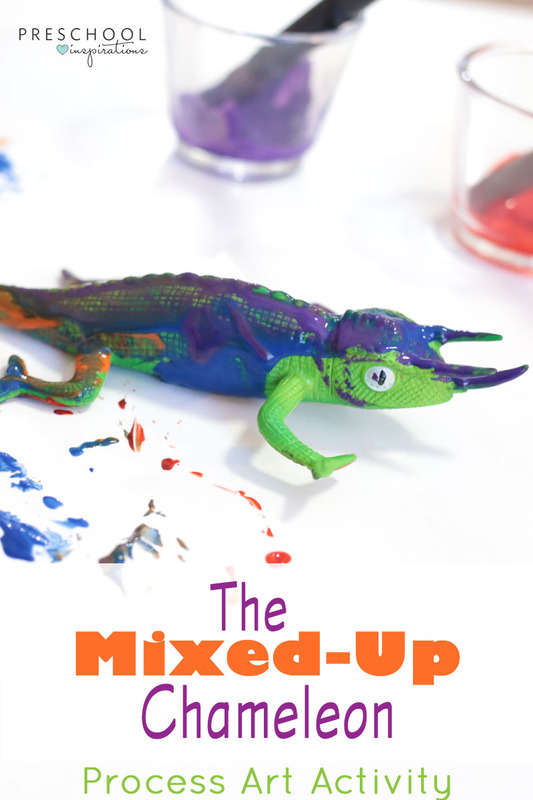 Have you read The Mixed-Up Chameleon with your children recently? What did they think of it?